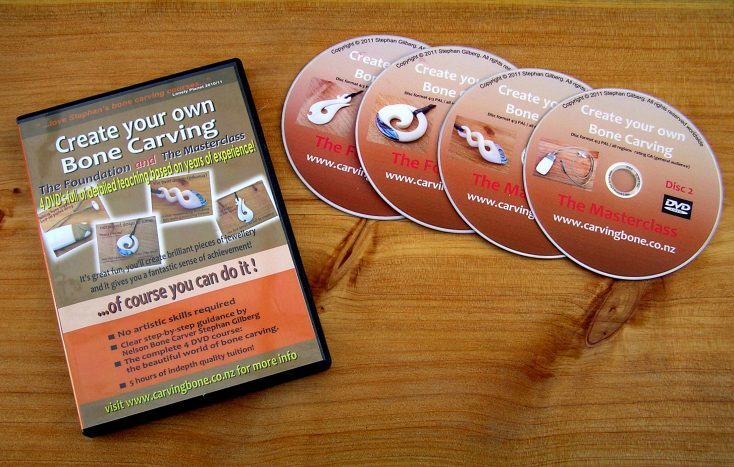 Video series ‘Create your own Bone Carving’, 4 DVDs with a total of 5 hours tuition in digital download format (note: you will receive a download link for the content in mp4 files, not a parcel with discs) based on 19 years of teaching experience in my workshops! The Foundation video set will set you up with all the basics, going into two great designs along the way. Also the cleaning and preparation of the bone and Paua shell is fully explained as well as setting up your basic tool set up. The Masterclass DVDs builds on the Foundation videos and will get you so much further, showing you the whole process of creating a stunning twist and fantastic lashing techniques. The range of the four different designs shown in videos will provide you a great skill set for a near endless design variety! I am convinced that they are the best investment you can make to get you on the way into this fascinating hobby and avoiding spending money on unneccessary things as well as frustrating errors….! High Definition video quality, great lesson, lots of techniques, tips & tricks giving you a great range of skillsets! Secure payments through PayPal, you don’t need to have a PayPal account to make payment! You can pay with your normal credit card, the payment will be processed by the proven and well established service of PayPal. 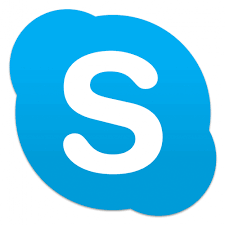 The download link will be sent to you within 24 hours, please download the content onto your computer within 7 days from receiving as the link will expire. “The DVD set is a great resource for the casual carver or someone looking to go pro. I liked the DVDs so much that I decided to travel to Nelson to take Stephan’s class in person. “Delivered as promised. 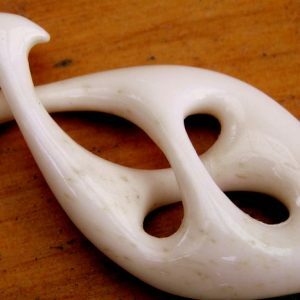 The instructional content is a must-have for anybody wanting to learn bone carving at home. Beginners will save a lot of time and money watching and learning from Stephan. More seasoned carvers will pick up valuable tips too. Stephan delivers his tutorial on a high quality DVD, ensuring nothing is missed…really, nothing. His attention to details is a testament to his character too. I’ve never met the guy personally but he was very responsive to my questions and issue. One of my DVDs was not playing correctly, paused half way through and would not continue. I contacted Stephan and he promptly responded and shipped me a replacement disc with no issues. The new DVD worked flawlessly as did the others. 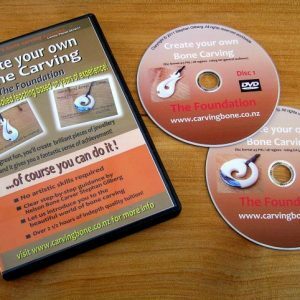 “Regardless of ability or skill at bone carving, the set of DVD’s ‘Create your own Bone Carving’ The Foundation & The Masterclass , presented as a 4 disc set by Stephan Gilberg is a ‘Must Have’ for any aspiring carver !!! Very well presented by Stephan, easy to understand, excellent emphasis on safety. Even though I have been carving for awhile many tips have allowed me to build on the skills I already had. “I received this DVD set extremely fast and very well rapped. It only took a few minutes of watching the DVDs to have me hooked on the proses. Stephan has a great relaxed way of teaching on the DVDs. He teaches you in great detail but explains it all in a way the novice will understand. “I bought both DVD’s hoping to learn the basics of bone-carving. Now a year later, I’ve been invited to be part of my second local exhibition.